In Mission: Impossible – Ghost Protocol, actor Jeremy Renner plays Agent William Brandt, an analyst who is more desk jockey than field agent. 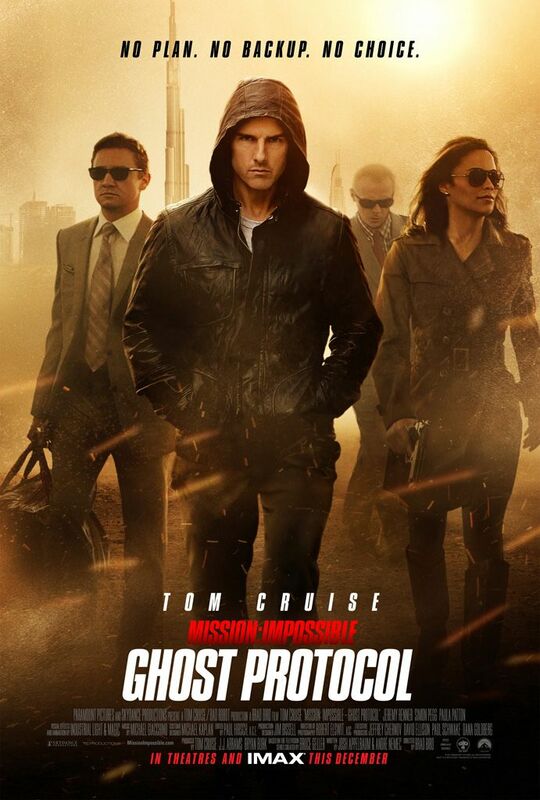 When Impossible Missions Force (IMF) operative Ethan Hunt (Tom Cruise) is blamed for the terrorist bombing of the Kremlin, he is disavowed, along with the rest of the agency, when the President initiates “Ghost Protocol.” Left with only a team of fellow IMF fugitives – including Brandt, Benji Dunn (Simon Pegg) and Jane Carter (Paula Patton) – whose personal motives are unclear, Hunt must find a way to clear the agency’s name and prevent another attack. At the film’s press day, Jeremy Renner talked about playing a character whose motives may be questionable, how great it is to be a part of such a successful franchise, getting in shape for the physical demands of the role, and how Tom Cruise has helped him prepare for any future action work he’ll have to do. He also talked about currently filming The Bourne Legacy, his work in The Avengers, what attracted him to the James Gray film Low Life, and the process of developing a Steve McQueen biopic. Check out what he had to say after the jump. Since your character is the new team member who thinks all of this IMF stuff is a bit crazy, is that a fun position to be in? 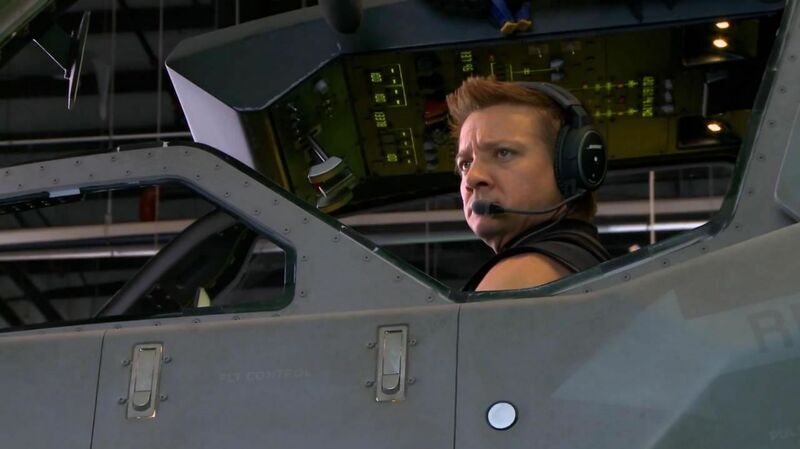 JEREMY RENNER: It was fun to play the character. It was a slightly different approach. It was a great, complex character to jump into. Nothing is as it seems, in a spy movie, and this certainly delivers that, I think. I’m attracted to those kinds of roles that could be good or could be bad, and you just don’t know. I guess I just have one of those resting faces that makes me look like I want to beat you up. I like those parts. Is the fact that your character has a complicated past something that’s revealed about you later on, or is that something audiences will know up front? RENNER: It’s revealed throughout the movie. It becomes a B or C plot, or whatever letter you want to put on it. It becomes a part of the character drama within the group, and that’s slowly revealed throughout – the secrets that the characters hold, in general, and specifically Brandt. Is it comforting to walk into a franchise that has an established lead? Does that give you an advantage, or are there challenges in distinguishing yourself? RENNER: I think it’s great to be a part of a franchise that is successful. Any franchise is successful because it’s a continuation and people have seen it. That’s nice to be a part of, when your movie gets all around the world, because 80% of the movies I’ve done, nobody has seen. That’s pretty exciting. And, getting the opportunity to work with Tom [Cruise] was really exciting. I thought the part was complex enough to go do, and I had a lot of fun. Given the fact that each of these films is independent of one another and you have a new director, with Brad Bird, did you have to take a crash course in what’s involved with these movies, or did you create this from the ground up? RENNER: I was a fan of the franchise, to begin with, so I was very aware of everything. And then, I re-watched it all again, which was informative, knowing that I’m a part of it. But, they’re all very separate movies. Tom never wanted to do a franchise, or to do a sequel to any movie, and he hasn’t, except for Mission, which is his baby. He’s always had directors come on that have a very specific vision for it, that keep them separate, as stand-alone movies on their own. If you didn’t see the first two, the third still all makes sense. The only through-line is Tom’s character, for the most part. There have just been characters that have trickled in and out. With this one, having Brad [Bird] come in and have his slant with the gadgets and the attention to detail with character, which brings tension, and cutting tension with comedy – and Simon Pegg is there for that, which is awesome – he is all over this movie. If you’ve seen The Incredibles, or any of his movies, you definitely see that in this. Since we haven’t gotten to see the full movie, what can you say about what happens with your character? RENNER: That’s giving away the movie, darlin’. I’m not gonna tell you if I live or die, or if I’m good or bad. I might create more questions then answers for you, but that’s what the character is. It’s one of those fringe characters. You’re not sure what’s going to happen, and that was the attraction for me. I can tell you that Will Brandt is a chief analyst for the IMF. He’s the right-hand man to the secretary, which is always the voice, and now a face, finally, in this movie, played by Tom Wilkinson. He hands out the missions. He’s a buttoned-up desk jockey, who gets thrown into the mix of Ethan Hunt (Tom Cruise) and two other agents, Paula Patton and Simon Pegg’s characters. Instead of having a mission dished out, circumstances fall apart and we’re thrown together and have to be together. It doesn’t mean we like each other, but we have to unite and overcome certain obstacles. Within that spectacle of action and mission stuff, there are interesting characters. All four characters are very strong archetypes, and how they play off each other is Brad Bird’s strong suit. If you’ve ever seen The Incredibles, I think you’ll see a lot of that, within that structure. Tom Cruise is known for his enthusiasm for doing his own stunts. Are you that way, as well? RENNER: Yeah, I guess I’m enthusiastic about it. I’m attracted to challenges, and there’s a great physical challenge in doing stunts. Also, there’s no ticket you can buy for that ride. The opportunity we had to do the stunts and to do the things that we were able to do in this movie, people don’t get that opportunity. That’s exciting. If it serves the story and the character, then I’ll do it. I don’t want to do a stunt, just to do a stunt ‘cause it’s that fun. It just becomes icing on the cake to help Brad Bird tell the story. … what’s it like to be up there, in that room, looking out the window and just be involved in that sequence? RENNER: It’s one of those things. If you get hit by a bus and you didn’t know it, that’s one thing. But, if you see the bus coming, and you get paralyzed and can’t move and just watch it come at you, it’s one of those things. Tom was out there, running around and doing his thing, all over the building, and we’re just standing there by the edge. That was more terrifying. Once I hung out, 30 seconds of near vomiting almost happened, but Tom was laughing. He was hanging upside down, all red-faced, and he was like, “Look at this view!” I was like, “What are you talking about? I’m going to vomit on you!” But, once that went away, he was right. It was beautiful. It was fantastic. Once all the fear went away, it became a really amazing experience. But, before that, the anticipation of it all was terrifying. How much physical stuff do you get to have in this, and how much training did you have to do? RENNER: Just stretching winded me, starting this movie, so I had a long curve to get ahead. After The Town, I didn’t do anything physical. I didn’t break a sweat for a year, until Mission. We had to make up for lost time and spent about five hours a day, learning certain disciplines, like Muay Thai and Filipino stick fighting, and all this random stuff that I never thought I’d learn, which was a blast. And then, there was stuff on a wire that you have to prepare your body for. There are certain trigger points in your body. I know much more about my body than I ever wanted to. But, it’s a very physical thing and you have to treat it like you’re a professional athlete. Did Mission: Impossible help prepare you for The Bourne Legacy? RENNER: Oh, yeah, all of them. Tom has prepared me for all of the last films I’ve done, especially Bourne, but also Hansel and Gretel and The Avengers, for the mental place to be. When you’re doing an action sequence, unlike in any professional sport in America, at least, if you get injured or you hurt your knee, or whatever, the second string comes in, but that doesn’t happen in movies. You can’t get injured, so I started getting on this really great program to prevent injuries. Tom introduced me to some really great physio-therapists, and that sort of thing, to prepare my body for that sort of torture. Was getting involved in three different franchises part of the career plan? RENNER: I don’t know whose plan. Not my plan. It just happened to come that way. How do you deal with expectations when you have a comic book character that everyone knows, or a series that people know but with a new character that they invented for it? RENNER: I don’t do well with expectation in my life. I certainly can’t think about it in other people’s lives. All I can do is do the best that I can do. I’m consciously aware, specifically with the comic book world, where there’s a built-in fanbase. But, there’s a little bit of leniency because there are a couple different universes. There are the Ultimates, and then there’s the old-school version. I wasn’t interested in wearing purple tights when I’m 50, so I loved that they went the Ultimates route. I also wanted to serve the story and the script, at hand, that Joss Whedon wrote, and not bring a bunch of baggage of where he came from. What mattered to me was page one to whatever the heck it ended up being, and serving that story. How did your life change, after your nominations for The Town and The Hurt Locker? RENNER: I’m not different, but a lot of things around me have shifted, and some in pretty great ways. Artistically, there’s a lot more opportunities, and bigger opportunities, meaning big directors that you know and you love their cinema, or the quality of scripts and the amount of scripts. That’s really shifted for me. People are just aware of who you are, all of a sudden, and it’s people that you think you know. For instance, there’s some big movie star – and you can insert somebody famous – and all of a sudden, they say your name. That’s strange, but really great. Is it important to you, to continue to do more independent projects, as well? RENNER: Yeah, absolutely. I’ll never completely abandon the stage even, where I started. I’m actually trying to do that next year. I’ll see if I can manifest the energy to go and do that. It takes a lot out of you to do a stage play, but I’d love to do that. I’d love to continue to do challenging material, whatever shape or form that comes in. I want to not know the answer. I want to not do anything I’ve done before. That can come in any form. Now, it’s action movies, at this point. But, where it’s at after that, I don’t know. As long as it has the certain requirements for me to want to get up every morning and be happy to go to work, then I don’t care the size of the movie. I just care about who I get to learn from. Are you currently shooting The Bourne Legacy right now? RENNER: I’m currently shooting The Bourne Legacy, yes. What can you say about the film? Is there anything you can share about the project? 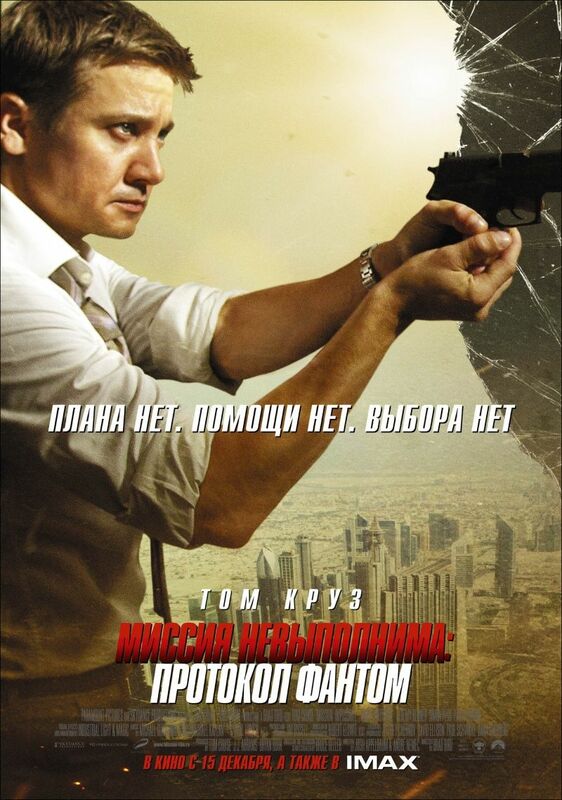 RENNER: I’d have to kill you. We’re in the middle of shooting it, so I can’t say a whole lot about it. But, what I can clarify – that there’s been some confusion about, in regard to taking over for Matt [Damon] – is that there’s no taking over for Matt. Matt Damon will always be Jason Bourne, to that franchise. But, the writer is consistent through them all. It’s the same writer (Tony Gilroy), and he’s also our director on this one. For the fanbase that likes that type of movie, with the continuity of that, the pace of it, the way it’s shot and everything about it, you’ll know it’s a Bourne movie. There’s just going to be different faces. It’s going to be Ed Norton and Rachel Weisz, who are two of the most talented actors out there. But, it will just be a different program and different spies, essentially. It has the same sort of pace to it. Have you spoken to Matt Damon? RENNER: We were in New York, but we just finished. And then, we go to Calgary. And then, we go to the Phillippines. How long will you be shooting? RENNER: Until the end of February. What’s going on with your music? Do you have any projects in the works? RENNER: I love music. I do play. I have no time to even think about a project, but I certainly bring a piano or a guitar with me, just so I can play. It’s like mathematics, and it’s also emotional. It’s nice to play, for no other reason than just to play. What attracted you to the James Gray film, Low Life? RENNER: What a great opportunity. It’s an amazing story. It’s James Gray, Marion Cotillard and Joaquin Phoenix. That’s some of the best talent out there. It’s not an action movie, which at this point, from where I’m sitting, is a nice thing. I can actually take a break on my body and just focus on work and character. That’s refreshing. And, to work with that caliber of talent is really exciting. It’s a small role. It’s something I can shoot in a very short amount of time. There’s a pimp, a whore and a magician, and I get to play the magician, in a really cool, early 1900’s immigration movie about Ellis Island. Do you have to be careful about the kinds of roles you take on, so that the roles aren’t similar and you aren’t typecast? RENNER: I think that’s where real life and cinema blend for me. I like to play unpredictable characters, and I like to be unpredictable in what movie I’ll do. I want to skip to work. I don’t want to repeat anything. What the future holds, I don’t know, but that’s what I like. I’ll take any risk there is. I’m not concerned about what people think, or what they want. What matters to me is learning and growing, and getting to do what I love to do. As long as I can do that, I’m happy. Was it fun to get to set up the Hawkeye character in Thor, before establishing the character in The Avengers? RENNER: It’s actually difficult because there’s not a lot to do. In Thor, I had to just stand in a bucket and hold my bow and arrow. What’s the character? I have no idea. I was thrown into that very quickly, so it was like, “Am I trapping myself?” It’s a little strange. I don’t know if it’s a good thing. I don’t think I’d go about it, normally, that way. It’s certainly a different way to go about taking on a role. Did it end up trapping you at all? RENNER: No, it was so small and minuscule. It was just saying a few lines. I felt like it would be tough to screw up. 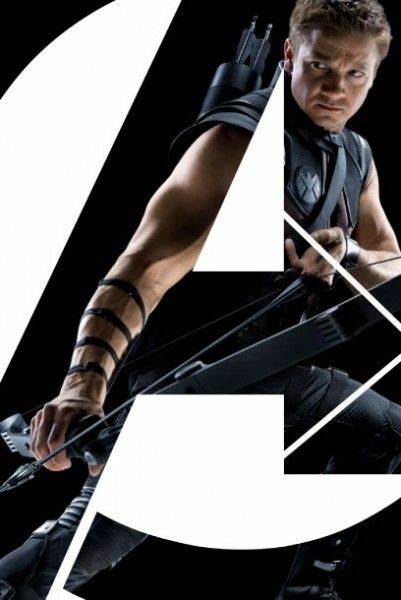 Would you like to do a Hawkeye movie, to explore the character even deeper? RENNER: I don’t know. There are a lot of variables in that one. Would they want to make one? What would it be about? There are a lot of things. I suppose, if they all align, then it could be interesting ‘cause I certainly like the character. But, I don’t know what the future holds. Do you get the feel of an ensemble movie from The Avengers? RENNER: Oh, yeah. It’s huge. Look at how many characters are in that thing. It was the ultimate challenge for Joss Whedon, who knows that universe so well. There was no one better to write it. He was so challenged, to write and direct that thing. I don’t know how you put that many characters in a movie like that. It’s immense. But, with that, you pass the baton. You get to work with very few of them ‘cause everybody’s got their own thing going on. Someone’s in the air, flying around. I’m on the ground, shooting a bow and arrow. There are a lot of things happening. I have no idea what that movie looks like. I have zero idea. Most of the time, I have a good idea of how it’s going to turn out because I’ve seen so much of it, but I have no idea. I feel like I might be an extra in it. I’m not sure. What’s it like to be one of The Avengers? RENNER: It’s great. It’s an amazing cast, and I wish I got to do more with them. But, I had fun with the people I did get to work with. Other then him being the coolest human being who ever lived, what’s the appeal of launching a Steve McQueen biopic? Are you involved in developing that? RENNER: Yeah, I’m involved in developing it. It’s happened because a script came around and they asked me if I wanted to look at it to potentially, maybe play him, and I thought, “Oh, that’s interesting.” Obviously, I loved his movies. I wouldn’t say I was a massive fan of him, by any means. I’ve seen probably three of his movies. But then, as it came around, I started to study him more and realized, “Wow, what a dichotomy of a human being.” He’s really, really interesting, outside of what most of us know him as. He’s the coolest human being who ever lived, but he’s also the most insecure guy who ever lived. He’s all these other things that undercut what we know him as. That was really interesting to me. I don’t care if that’s a fictitious character or a real person. That’s just interesting to me. I felt like the script was just a retelling of what everybody already knows about him. I didn’t know a lot about him, but it was retelling the things I knew about him. I thought, “That’s really boring and doesn’t do him justice,” for what I ended up learning about him. So, that’s why we’re developing this thing, from these images that I saw. For instance, there’s a photo of him where a butcher in a shop is bandaging up his hand. The movie set is around the corner, and he was either just preparing to do a stunt or had just done a stunt, of the famous bike jump he did. Everybody knows about that stunt, so why talk about that? I want to know what that conversation was, between that butcher and McQueen, in that butcher shop. That’s more interesting to me. I think an inside look into his life, as a human being, could be fascinating. That’s what we’re exploring. James Gray is actually the one writing that. So, it would be more of a personal look at him, rather then a careerist view? RENNER: Yeah. You can’t avoid that, but I’d rather have that be the backdrop of his life. I’d like to see, “What is it like to walk into a room and everybody stares at you ‘cause they know exactly who you are?” Not a lot of people know what that feels like, so let’s let people into that world. I think that’s interesting. It will be that kind of take, hopefully. Is that a daunting role to take on? RENNER: I don’t know. I haven’t seen the script. I’m already imagining it to be almost impossible, but I’d love to take on the challenge. It would be an honor.